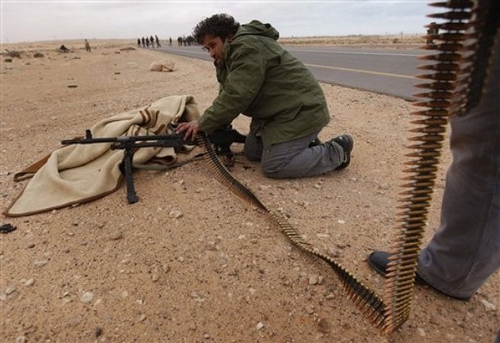 Gaddafi’s army has announced a new ceasefire on Sunday, saying it was a response to an African Union call for an immediate cessation of hostilities. 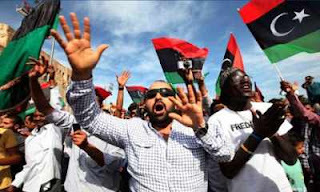 Whereas civilian supporters of Gaddafi will now make a peace march from Tripoli to the rebel city of Benghazi raising banners against rebels and raids by west. Meanwhile, the United States has challenged that such a ceasefire exist. United Nations Secretary General Ban Ki-moon said in a quick response: “I sincerely hope and urge the Libyan authorities to keep their word. 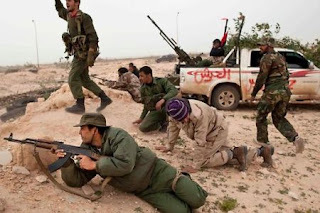 “They have been continuing to attack on the rebels. This (offer) has to be verified and tested,” he said. As Allied forces launched fresh air strikes to halt Muammar Gaddafi’s attacks on civilians, with a missile attack destroying a building in the leader’s heavily-fortified residence. Libyan spokesman Moussa Ibrahim told journalists, who were taken to the site by bus, “the building was hit by a missile” The attack was about 50 metres (165 feet) from the place where Gaddafi meets his guests generally. “This was a barbaric bombing which could have hit hundreds of civilians gathered at the residence of Muammar Gaddafi about 400 metres away from the building which was hit,” Ibrahim said. Meanwhile a group of foreign journalists were taken by bus on a visit inside Col Muammar Gaddafi’s compound through number of concrete barracks, fortified walls and barbed wire designed to keep away the rebels. Hundreds of Gaddafi’s civilian supporters offered themselves as his human shield, cheering to newly created rocking song in praise of him. “House by house, alley by alley,” this is how the catching song was, quoting a Gaddafi speech. “Disinfect the germs from each house and each room.” The crowd comprised of many women and children, who said if they want to kill our great leader, they will have to kill us first.